There have long been debates about 'correct' pronunciation in the English language, and Britain's most distinguished linguistic expert, David Crystal, is here to set the record straight. Sounds Appealing tells us exactly why, and how, we pronounce words as we do. Pronunciation is integral to communication, and is tailored to meet the demands of the two main forces behind language: intelligibility and identity. 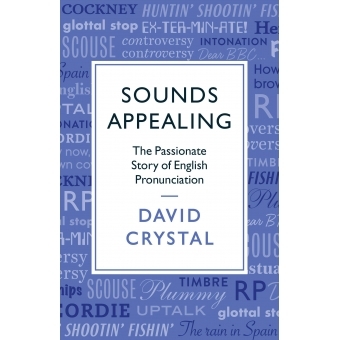 Equipping his readers with knowledge of phonetics, linguistics and physiology - with examples ranging from Eliza Doolittle to Winston Churchill - David Crystal explores the origins of regional accents, how they are influenced by class and education, and how their peculiarities have changed over time.